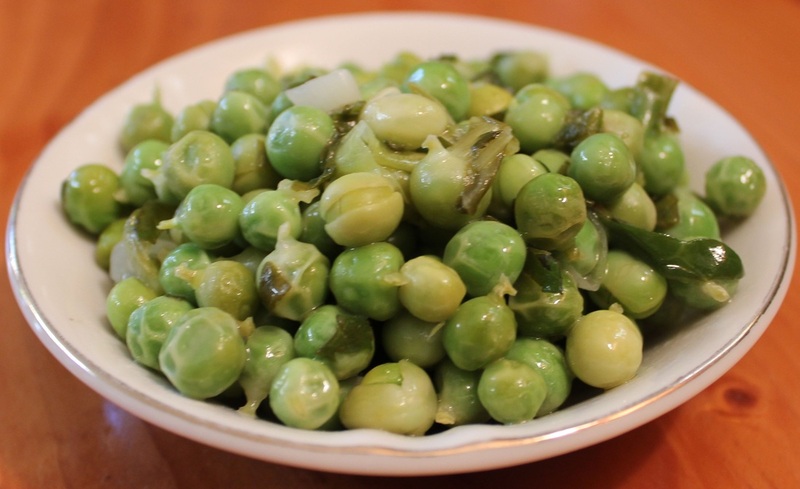 Fresh tender, young peas make a big difference in this recipe, you can use frozen peas but the taste will not be the same. Saute shallots 1 minute, add wine and peas cooking 1 more minute. Add lettuce and mint, stirring until wilted. Peas should be just tender.